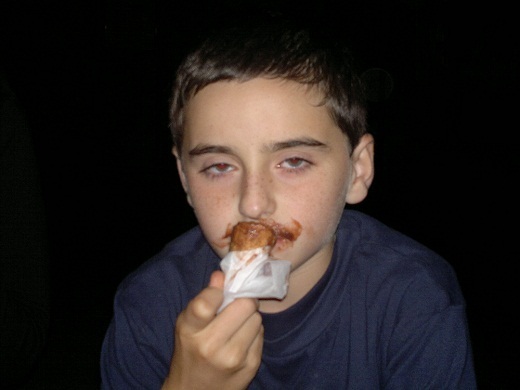 William is my son and although very young he has helped me a great deal with this site. His advice has been particularly useful in getting a child's view on Italy and helping to find things for children to do in Italy. William has been involved everywhere. His influence has been enormous. He has taken a number of the photos on this site and many of the photos on my husband's site about Piedmont and Sardinia . First on his list was Gardaland and the nearby Aqua Park. If you have kids then you have to find a way to include this area... they'll love it. We normally stay in Peschiera del Garda which is a great place for adults too. Beaches were at number two. Those beaches near Venice are lots of fun but his favorite beaches are the beaches in Sardinia. At three he had a tie between a Gondola ride in Venice and the Santorso Nature Park with its butterflies and its amazing old aquarium. 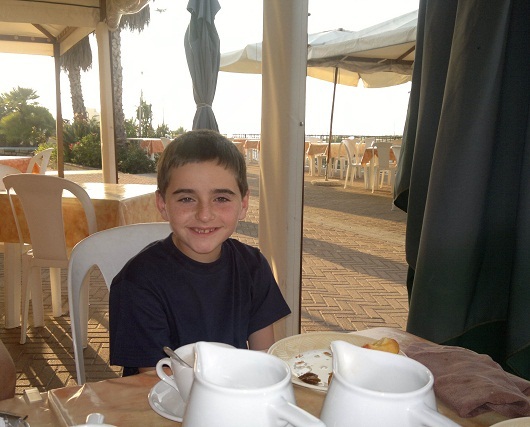 This page then is dedicated to William and it features photos of a child's 24 hours in Italy starting with breakfast. Also included is a video in which he describes the things he loves about Italy and finishes of a jar of Nutella. I hope you enjoy it and please excuse this mother's indulgence! William enjoying a late breakfast before we head of for a day at the beach and cycling along one of the loveliest stretches of the Italian Riviera. For more on where we stayed and the attractions of this coast click here. 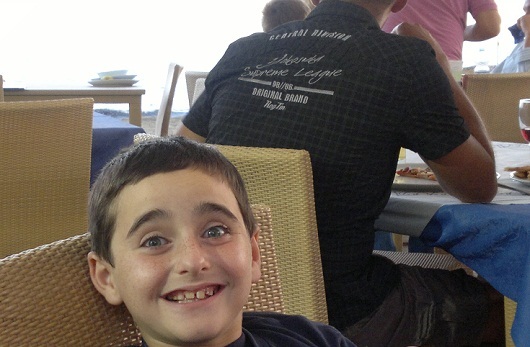 Dinner at a trattoria on the beach and William still full of energy making silly faces. It was getting late - after a long dinner we went for a stroll through the old town of Santo Stefano al Mare and William, although half asleep, wanted a gelato (ice cream). Most of it ended up on his face!! The next day, after a morning trailing around behind me while I shopped, William had just about had enough. This wall was about all that kept him standing. 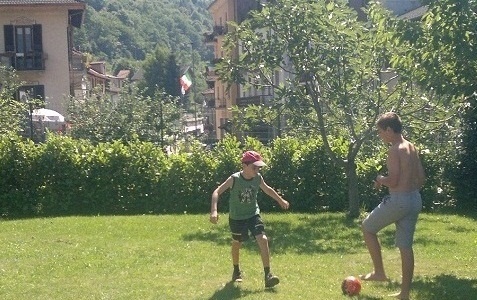 After lunch, and a short nap, the afternoon was spent playing soccer with Matteo which always makes William happy. Here's William explaining why he loves italy. Make sure you find the perfect place to begin your vacation in the Veneto. These are my suggestions.